Tuttle Creek Blvd. & Barnes Rd. Open by Appointment, please call 785-565-6490. 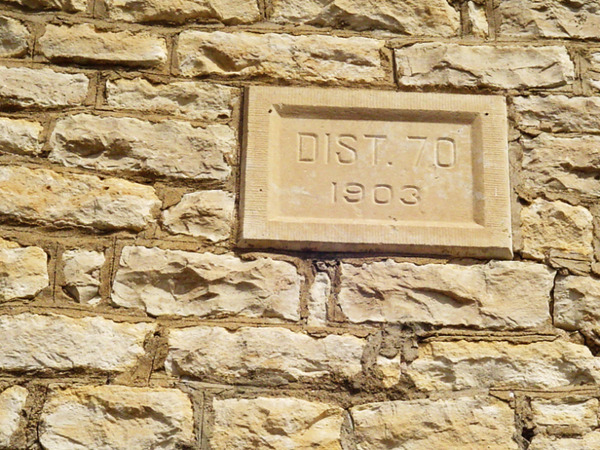 The Rocky Ford School District #70 was organized in 1885. 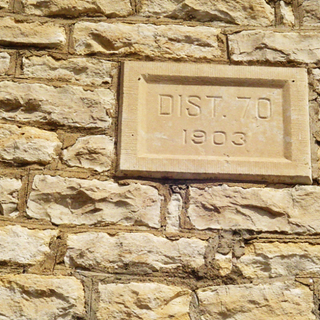 The current limestone school building was constructed in 1903. In January 1927 the original school burned but it was reconstructed by builder Fred Hulse using the 1903 stone walls. An outhouse was built in 1904, a well was first excavated in 1909, but a new well was dug in 1933, and a merry-go-round was installed in 1929. 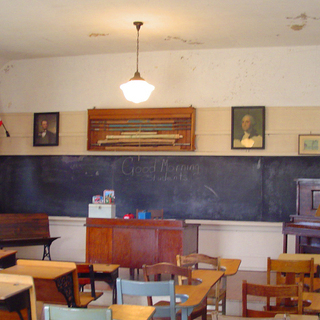 School was held here until 1947. 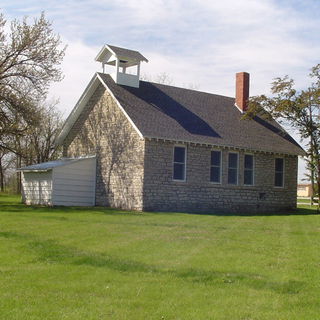 In January 2012 the school was listed on the National and State Register of Historic Places. 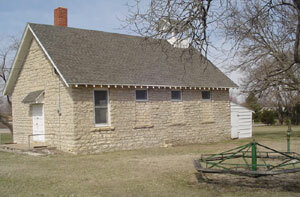 In 1987 the building was given to the Riley County Historical Society by U.S.D. # 383. Restoration of the building is ongoing. In recent years a new roof has been installed, the interior plaster repaired and painted, gutter installed and the exterior painted. Part of this work was done in memory of Arlene Hopkins, who for many years was Chair of the Rocky Ford School Committee. 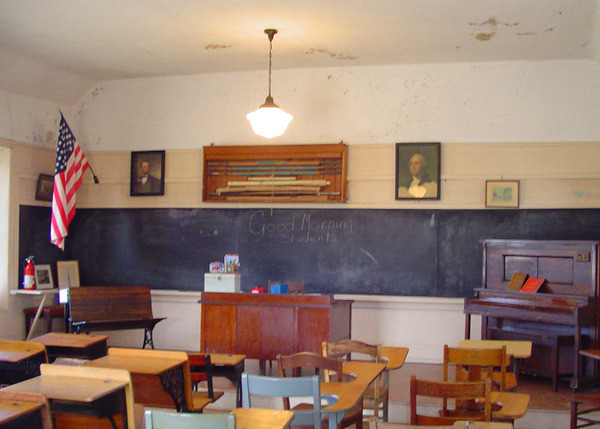 Additional restoration work is planned and a "Pals of the Rocky Ford School" group has been established to organize the effort. 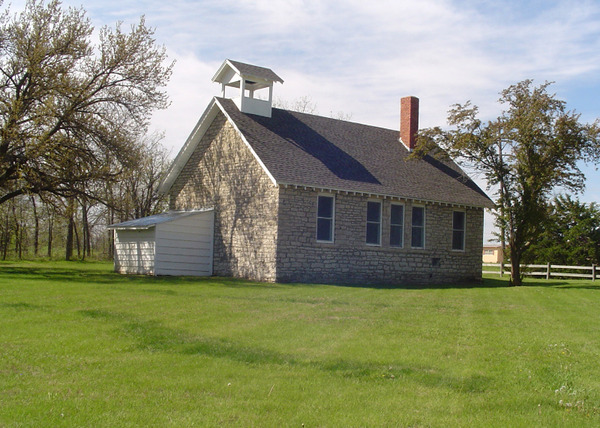 Tax deductible donations for Rocky Ford School improvements are gratefully accepted and may be sent to the Riley County Historical Society 2309 Claflin Manhattan, Kansas 66502. For more information, or to volunteer at the School, call 785-565-6490. Rocky Ford School is open by appointment. Please call 785-565-6490 to schedule a tour. School groups are especially welcome.